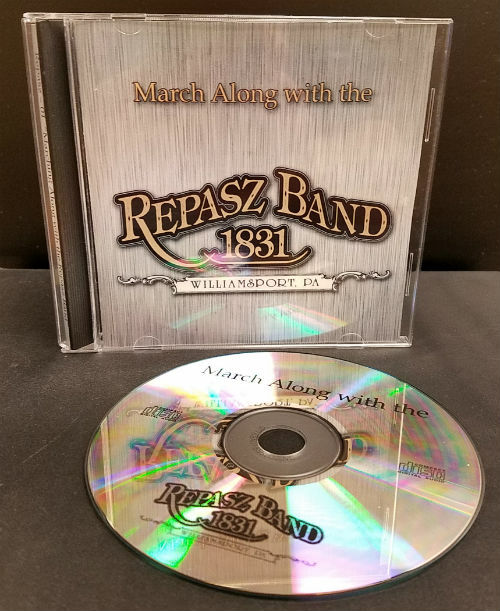 The Repasz Band’s CD, “March Along with the Repasz Band,” is available for purchase. The CD contains twenty of the world’s famous marches, performed by our band. You may obtain our CD by sending a check for $18.00 which includes the cost of the CD as well as shipping and handling charges.